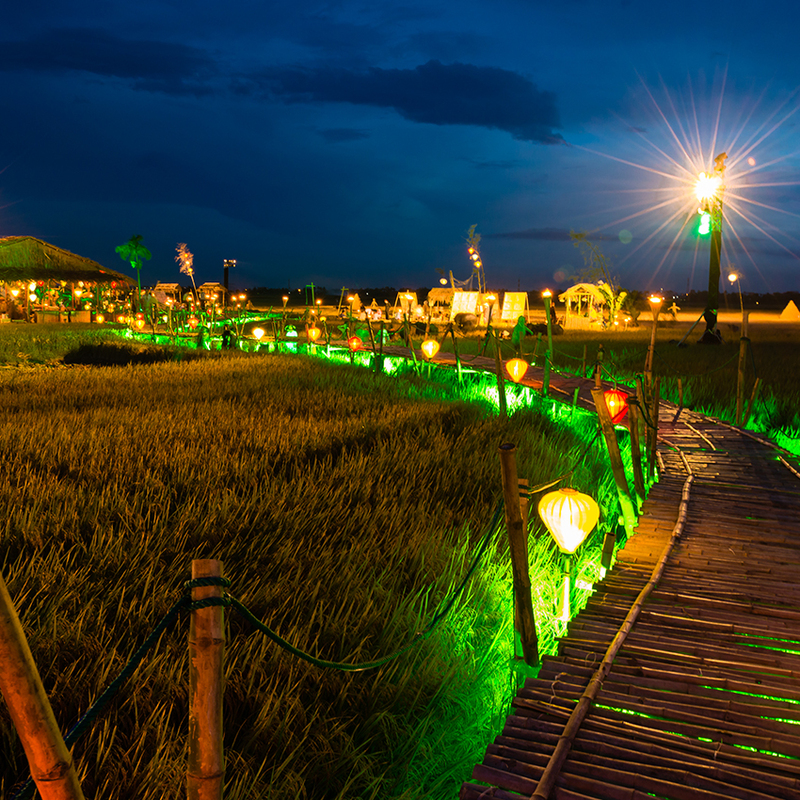 Vietnam still has the fortune of being a relatively undiscovered destination for many corporate clients around the world. As the country builds its infrastructure to lure and hold incentives, high quality and creative meetings and events are becoming more accessible. 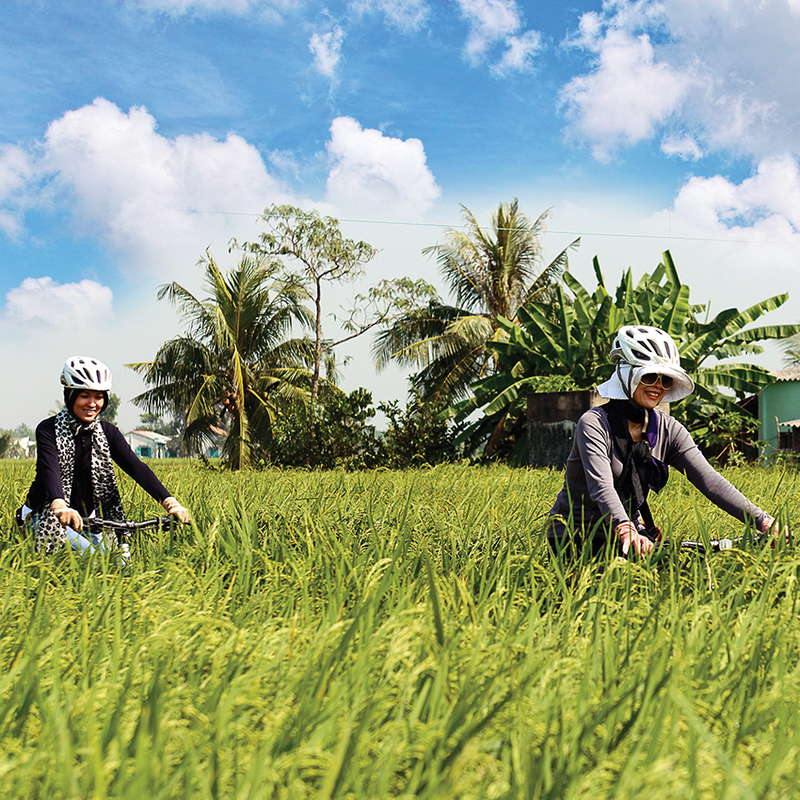 Vietnam holds an ‘edge’ of the unknown or the unexpected that can only enhance travel experiences for corporate clients. 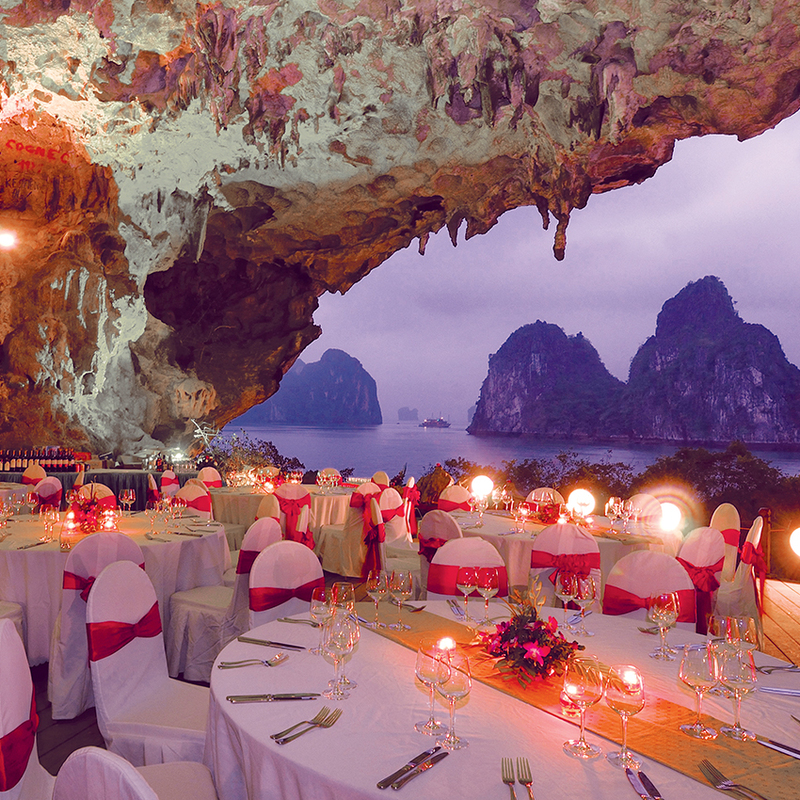 The country is blessed with a multitude of off-site venue choices, many of which have been sourced exclusively by Destination Asia over the years. Our deeply rooted relationships and connections allow us to think outside the box and create events that could not be envisaged by outsiders. We can transform areas into a microcosm of all things Vietnamese, from children on buffalos, to market stalls and arts and crafts stalls. 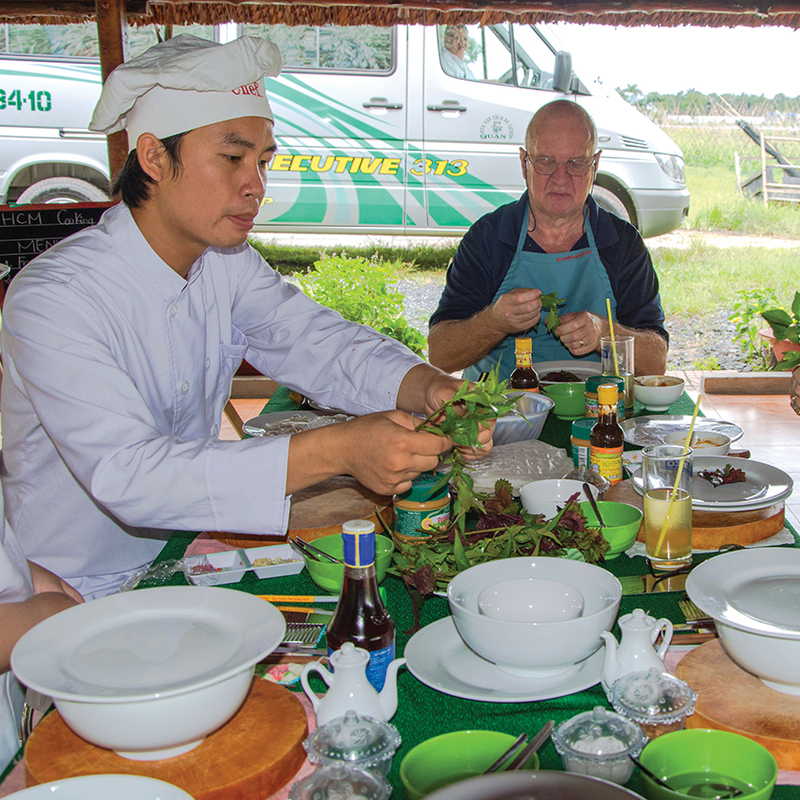 Join a hands-on class with a demonstration from the chef before creating a selection of traditional Vietnamese dishes on your own. 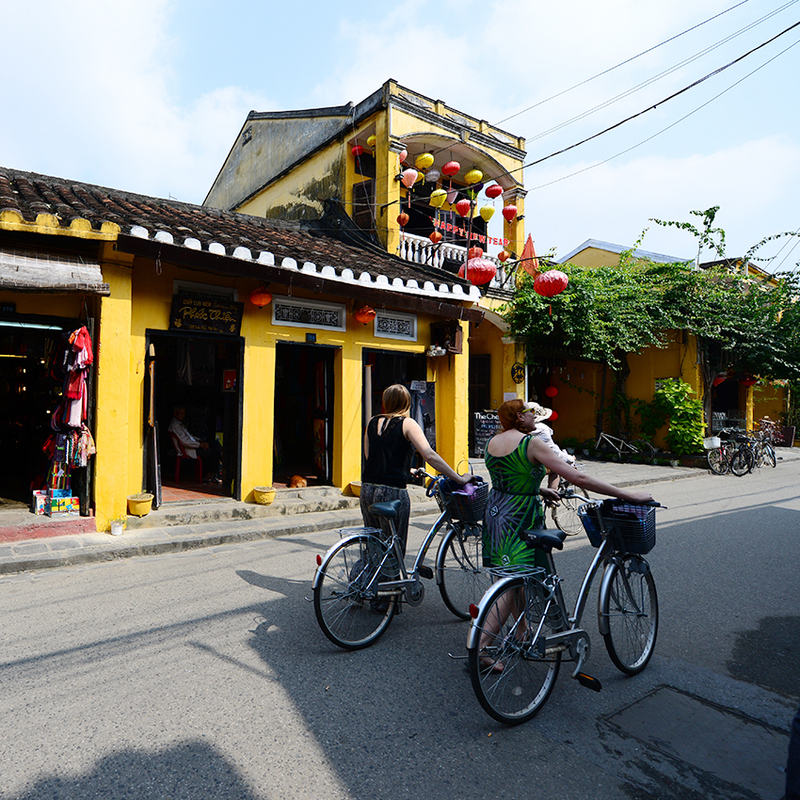 The size and the space of the Imperial Citadel of Thang Long allows for a wide range of entertainment and visual options, be it traditional or modern focused. Professionally trained guides show guests the ropes as they prepare for a journey down the waterfalls and through the rapids during this high-octane canyoning and rafting adventure. Housed in a beautiful French colonial classic yellow and white building, the Fine Arts Museum presents modest Chinese influences with an outdoor sculptural courtyard and guest seating. 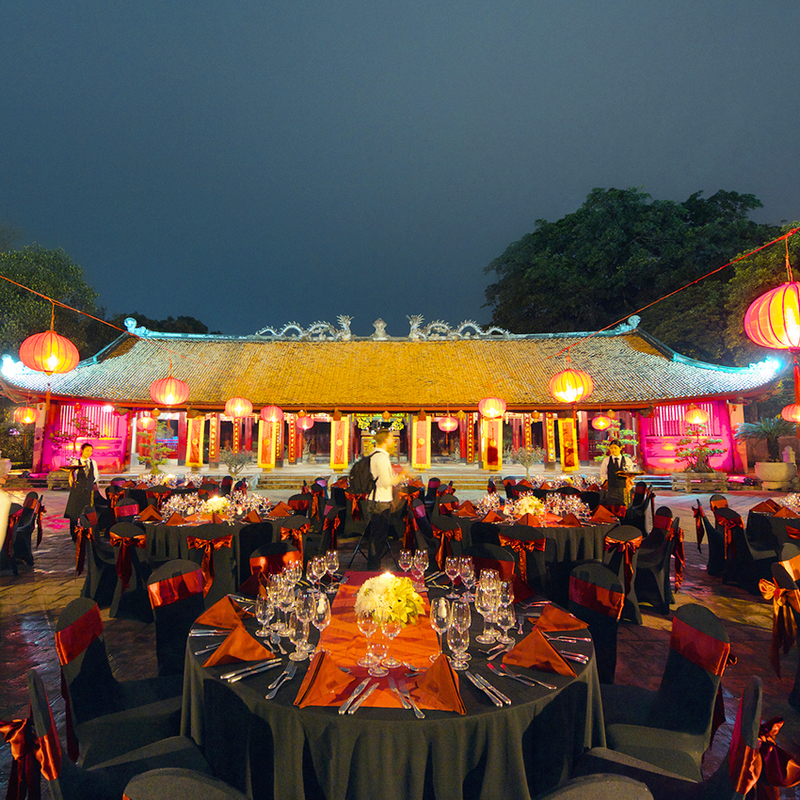 Enjoy a gala dinner at the ancient Temple of Literature in Hanoi.